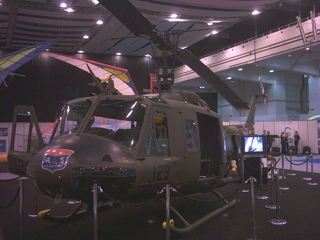 This was the first show of the year for us and it was great to be able to get the huey on display! 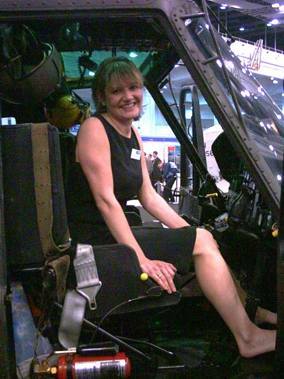 For those of you who could not go, this show is an indoor display of everything to do with aviation from micro lights to harrier jets! And for those of you who were there, thanks for your interest. It was great talking to you all! 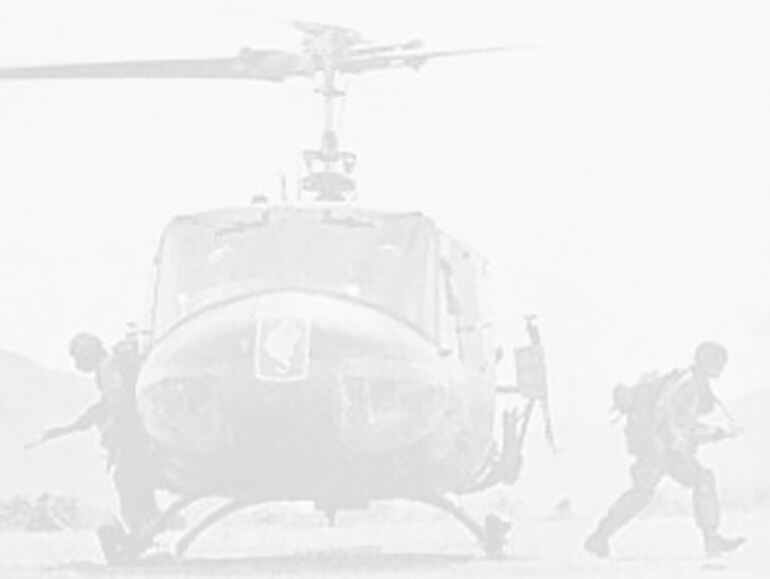 Our sincere thanks must go to London Helicopters (again!) 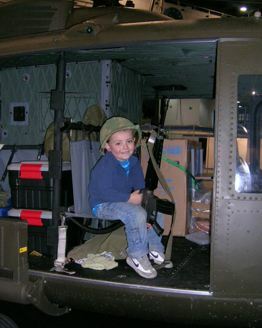 for expertly removing the rotor head and blades prior to the huey being transported and for re-assembling it at the show. 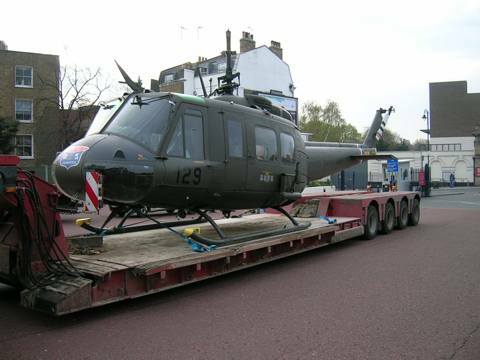 We would also like to thank Gatwick Plant for their assistance transporting the huey to and from the show. 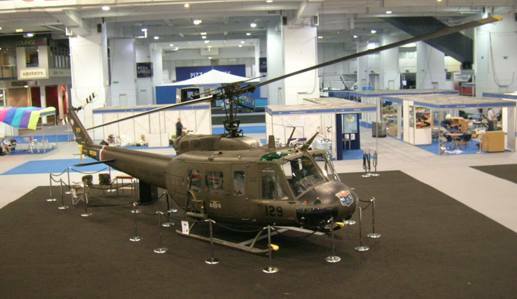 This being an indoor event obviously meant we couldn't fly in so the huey had to partially dismantled, put on a truck and driven from Redhill Aerodrome through the streets of London to Earls Court Exhibition Centre! The show itself was great! We received a lot of praise and interest in our machine, both from the visitors and the other exhibitors, and it was lovely to meet so many people who were keen to see and learn more about this great helicopter. 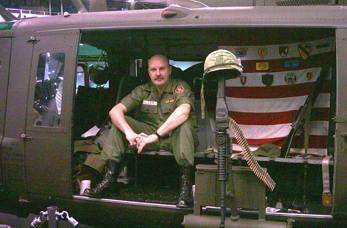 Phil was asked to give a presentation in the Seminar Theatre on the Sunday about his experience importing and flying the huey. Unaccustomed as he is to public speaking, Phil asked our friend Simon Johnson , a BBC journalist, to prepare a short DVD to play to the audience. This seemed to go down very well, especially all the flying sequences! Thanks Simon! We had a great time at the show and very much hope we are invited back there next year!